Use the checklist below to help identify and resolve your negative shares error. If you need help, at least try to identify the cause of the error and then contact our support department for help resolving. You might want to print this checklist and use as a worksheet! If you are viewing this from the built-in help file in TradeLog, click the Print button at the top of this window. If you are viewing this on our website, go to the print option in the web browser you are using to print the current page. Missing baseline positions (positions held open from the previous year) – this is the cause of most negative share errors for TradeLog users. 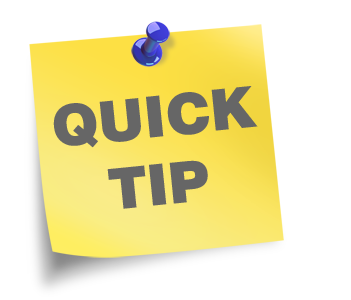 o Check your December statement to make sure you included any positions that were pending settlement when calculating baseline positions. See our online tutorial 'Gathering and Entering Baseline Information' under Step 2 tutorials. o Did you enter all positions in the correct format? Using current market ticker symbols for stocks; and the option long format for any option contracts (ex: AAPL 22JAN12 242 PUT)? See the topic 'Entering Baseline Positions' for step by step instructions. o Did you include any mutual funds or bonds? These are usually reported in TradeLog. See our online Tax Topic about Mutual Funds. Basic errors – these are some basic errors that can cause Negative Shares. o Are there negative amounts in the shares column? TradeLog works on an open trade, close trade system therefore there should not be negative amounts in the shares column. See 'How TradeLog Works' Concept #2 to understand more. Corporate actions – if not adjusted for, these can cause negative share errors. Check your broker statements for reported corporate actions. Or you can lookup the security that has negative share errors online to view corporate action history. o Brokers may report a closing position at a 0 amount to refer to a corporate action but this may cause a negative share error. If a trade is listed with a $0 amount then verify the trade history with your broker statement(s) to identify possible causes. Trades out of order – TradeLog attempts to match trades. However, at times broker reporting is out of order and closing positions are unable to be matched to the proper open position. If your broker does not report a time stamp or is known to not list trade history in the order of execution then this may be the cause of your errors. The Fix Trades Out of Order function may be a quick solution to your negative share errors. Trades mislabeled – sometimes trades are mislabeled as a result of insufficient broker reporting or an import error. The result may prevent TradeLog from properly matching trades. o View the trades that are triggering the negative shares error. Is a trade being reported as a close long position when it should actually be an open short position? Are there other trades for the same ticker that are incorrectly labeled? You may need to look up the trade in question with your broker statement or online history to verify. o Does your broker report short sale positions? (See the broker support matrix.) If no, and you have positions labeled as short in your file it is possible they are mislabeled. o Are the negative share errors isolated to one or two trades, or is this a trend in your TradeLog file? A trend is an indicator of a possible problem with labeling and matching of trades from broker import. If you notice a trend you should contact our Support Department for assistance. Still having problems? Send your TradeLog data file to our support department for assistance identifying the cause of a negative shares error.